The Right Way” - George, G&N Motors. For over 25 years G&N Motors Inc. has offered comprehensive maintenance, service, repair and restoration for all models of Mercedes-Benz. G&N Motors moved to West Los Angeles in 1991 from its original location on La Cienega Blvd. to be in the center of Beverly Hills, Century City, Westwood, Santa Monica, Pacific Palisades, Malibu and Marina Del Rey. Over the Years G&N Motors has repaired over 20,000 Mercedes-Benz vehicles. G&N Motors was started with the dream to open the finest, most successful Mercedes-Benz service and repair facility in Southern CA and from the first day G&N Motors opened the shop has been busy, this has not changed in 25 years. Most Fair and Honest Mercedes-Benz Repair Shop in Southern CA. 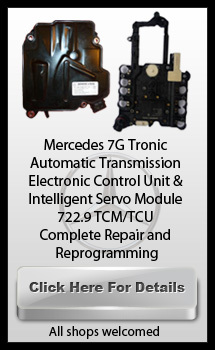 Best Professional Mercedes-Benz and Bosch Technicians. At G&N Motors Inc. our technicians are both Mercedes-Benz and Bosch factory trained and certified. Our service department is always kept current with up to-to-date diagnostic software and equipment. This, along with our annual Mercedes-Benz and Bosch training regimen means no matter how new or old your Mercedes-Benz, whether gasoline or diesel, we are experts at handling all your Mercedes-Benz maintenance and servicing needs. We pride ourselves on providing expert diagnosis and exceptional service at reasonable prices. G&N Motors Inc. is an authorized Bosch Service Center with a complete Mercedes-Benz accessories and parts department located on Santa Monica Boulevard in West Los Angeles, next to the Mormon temple. Call Today! Experience The Difference For Yourself. Mercedes Pre-Purchase Inspection – Avoid a potentially expensive mistake! Los Angeles County, Malibu, Santa Monica, Beverly Hills, Westwood, Marina del Rey, and more. ◦ Mercedes Battaery & Charging Sys. 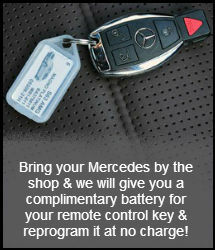 © Copyright 2010, G&N Motors MBZ Certified Mercedes-Benz Service&Repair, All rights reserved.